The Cosmas Titan is a 14" high, pull-on bunker style boots that meets or exceeds NFPA 1971, Standard on Protective Ensembles for Structural Fire Fighting and Proximity Fire Fighting, 2007 Edition. 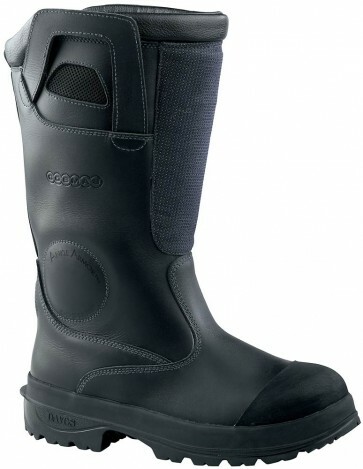 UPPER - Full-grain, water, flame, chemical, and cut resistant leather, 2.4 - 2.6 mm nominal thickness, 6.5 oz. Mesh window for enhanced ventilation.